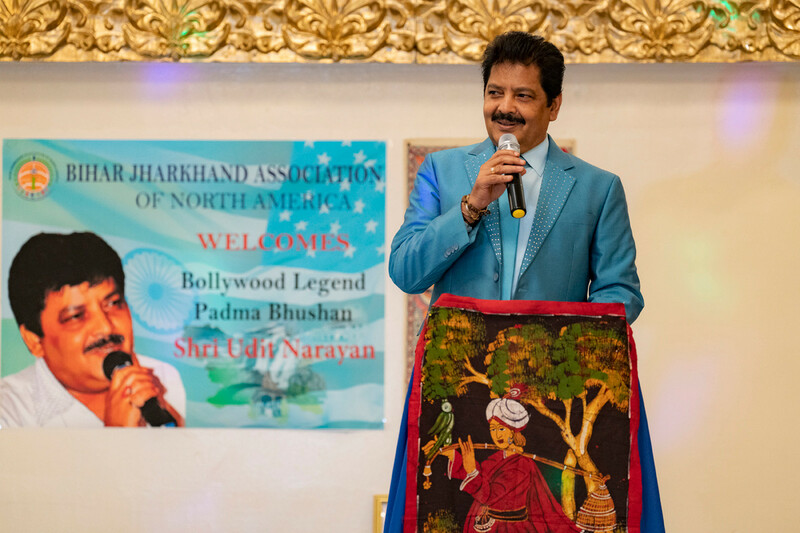 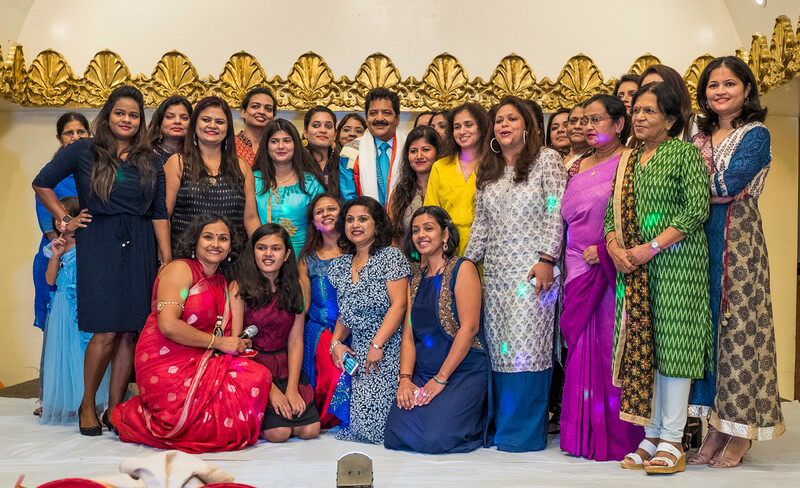 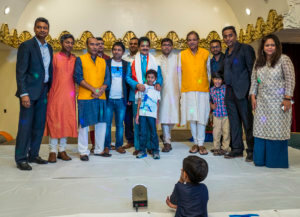 The Bihar Jharkhand Association of North America (BJANA) held a meet and greet with Udit Narayan at Royal Albert’s Palace in Fords, New Jersey. A ladies group also entertained the crowd with a selection of Maithili songs. 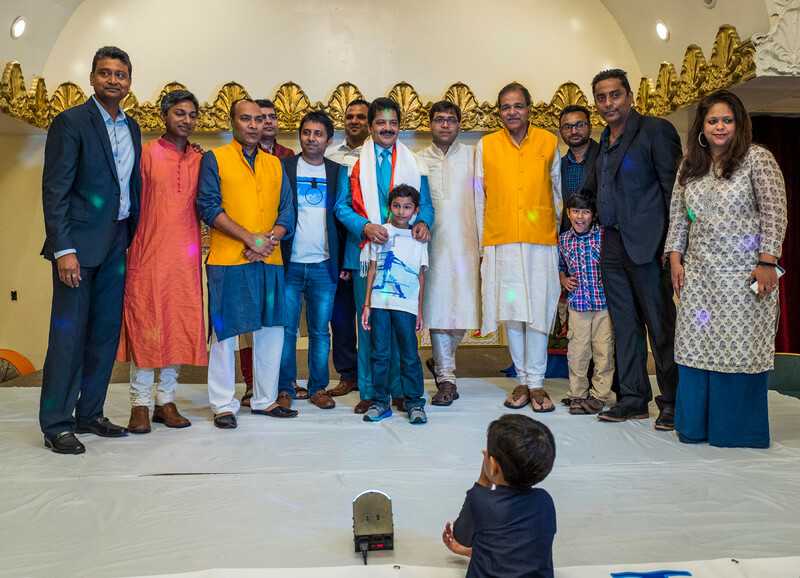 BJANA president Vinay Singh along with Chairman of FIA Ramesh Patel, then honored Narayan with a plaque, commemorating his contributions to music and promotion of the Bihari identity. 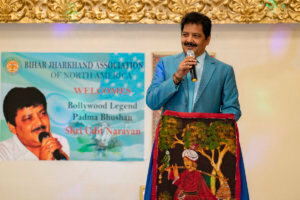 The Association of Nepali Teraian in America also joined BJANA in hosting and honoring Narayan.